This. Book!!! What can I say but READ IT! Clear your calendars on May 1st, have chocolate at the ready (trust me on this, you will need it!) and read this book! Falling for You has everything we have all come to expect from Becky Wade. 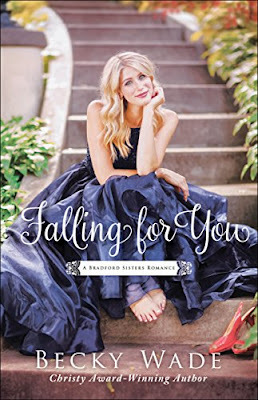 There is a nice mystery throughout, my favorite ever reunion romance, humor, chocolate, a secondary story that will make you want Britt and Zander’s story now, tear inducing scenes, ugly cry scenes, and did I mention chocolate? The hilarious banter between Willow and Corbin is one of my favorite parts of the book. Speaking of Corbin- What more do I need to say about him besides football player with a great sense of humor and a big heart? Although at one point in the book, when Willow was remembering something that had happened in the past, I will say I was totally not happy with him. But then I turned the page and was back to laughing out loud at his sense of humor and charm! The rule breaking he does to get under Willow’s skin - hilarious. And the tea room scene - priceless! Willow was a great character too. I loved her growth during the story and how she realized how the past was affecting her life and her decisions and that God has forgiven her so she could too. I also love her relationship with her sisters. This is such an awesome book! Obviously, I highly highly recommend it! I am sure it is going to be in my top reads of 2018! *I received this book with no obligation to review or review positively. This review is my own opinion. I love the idea of a series with sisters! Siblings can be so different and it makes for great drama. Thanks Kim! I can't wait to read this one. I love Becky Wade's books. 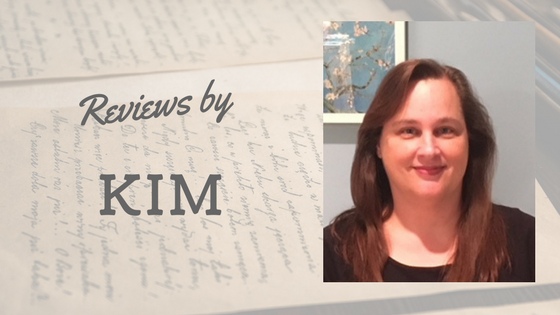 Thanks for the review, Kim.